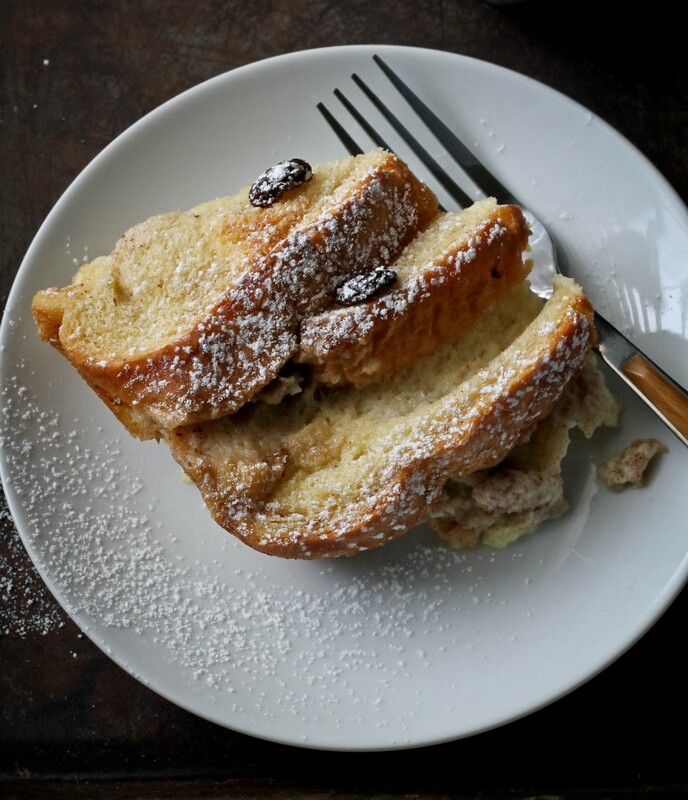 Recently a follower on Instagram asked for a recipe for bread and butter pudding and that’s when it dawned on me that I hadn’t added this recipe to my blog. I have 2 bread pudding recipes(bread pudding, pumpkin butter croissant bread pudding) but no bread and butter pudding, which is quite odd seeing how I grew up eating the latter. 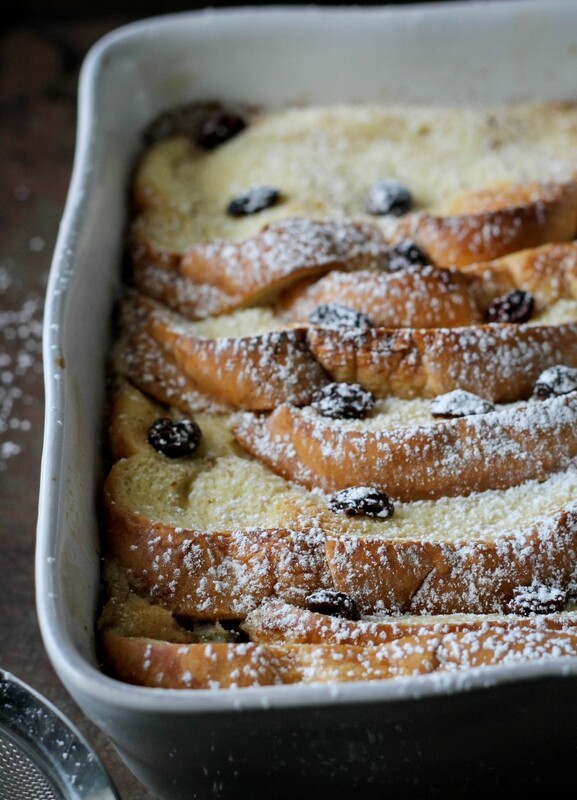 Bread and butter pudding is a type of bread pudding that is common in British cuisine; Guyana is a former British colony and some of their cuisine has remained with us. 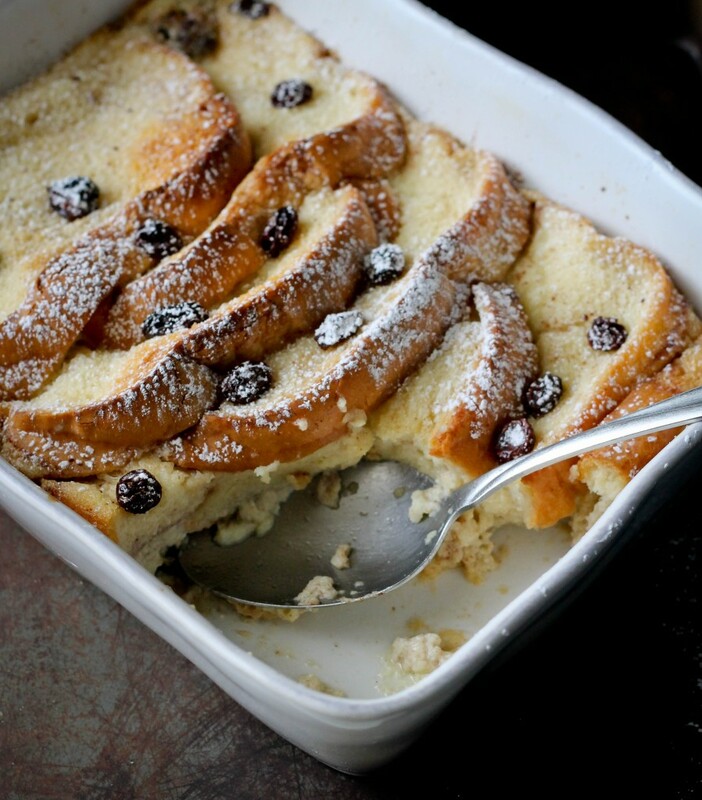 What makes bread and butter pudding a bit different from bread pudding is that slices of bread are buttered before being soaked in a rich egg custard and studded with raisins. The top of the slices peek above the custard and provides a nice contrasting texture to the custard. Butter 1 side of each slice of bread and layer in a buttered 10×7 or 8×8 baking dish. 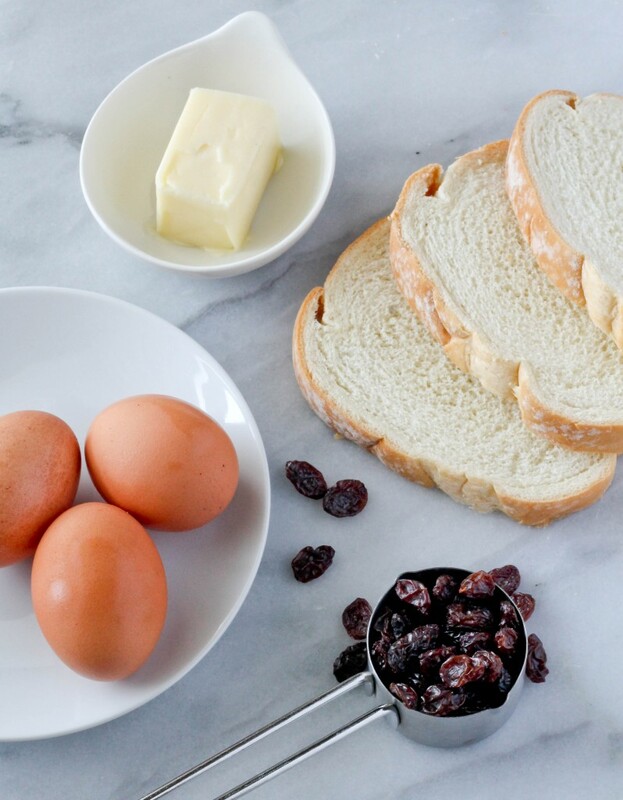 Sprinkle with raisins. In a large bowl whisk milk, cream, eggs, sugar, cinnamon and vanilla extract. Pour over the slices of bread. Place the dish with the bread and butter pudding in a large 13×9 baking dish and pour water until it comes up to half way the dish. Place in oven and bake for 1 hour until it puffs up and the top is golden. Serve warm. Remember making this in home economics class in the 70s.This the only recipe I can master beside Queen cakes anyone remember those? Thanks for posting brings back wonderful memories of my school days at East Ruimveldt Sec. Yes I certainly do remember queen cakes!